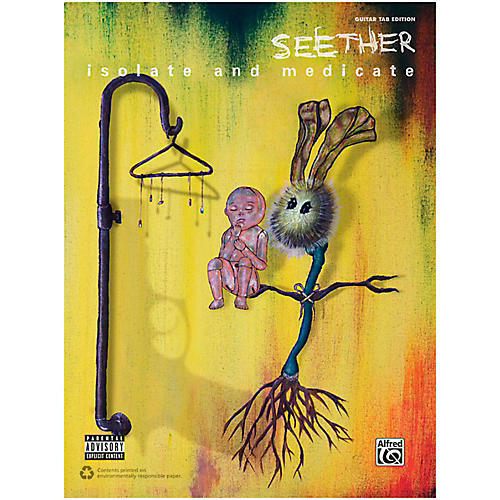 Seether comes out sounding truly seasoned on Isolate and Medicate, their sixth studio album. This album-matching folio contains guitar TAB transcriptions of all the songs on the record, including the four bonus songs featured on the deluxe edition. Titles: See You at the Bottom * Same Damn Life * Words as Weapons * My Disaster * Crash * Suffer It All * Watch Me Drown * Nobody Praying for Me * Keep the Dogs at Bay * Save Today * Turn Around * Burn the World * Goodbye Tonight * Weak.